Last weekend, Sen. Lisa Murkowski made headlines for breaking with her party over the Supreme Court nomination of Brett Kavanaugh. Wednesday, she fell in line with her Republican caucus on a controversial health care vote. Murkowski, along with Sen. Dan Sullivan, voted to greenlight the extension of short-term, bare-bones health insurance plans. Democrats say the change is part of a Trump administration plan to sabotage the Affordable Care Act. But Murkowski doesn’t see it that way. Sen. Tammy Baldwin, D-Wis., led an effort to get rid of the Trump administration rule, and she made an obvious play for the two remaining swing votes on health care. Baldwin needed to win over two Republicans to nullify the new rule that extends short-term plans. She got just one: Collins. Baldwin’s resolution failed on a vote of 50-50. That leaves the Trump administration’s rule in place. It allows people to be on the short-term plans for up to three years. During the Obama administration, the limit was one year, then it was reduced to three months. The short-term plans can exclude coverage for things like pre-existing conditions and pregnancy. The plans might appeal to young, healthy people, which Democrats say would leave only older, sicker people in the individual market, driving up the cost of their insurance. 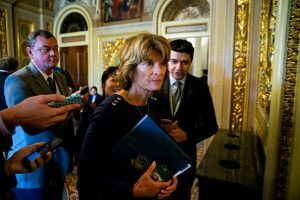 Murkowski said she voted to keep the three-year term because she wants Alaskans to have the option of a cheaper plan, even if it has less coverage. “To eliminate any options is just a hard thing for folks, given the high costs that we have,” she said. But Murkowski doesn’t see the spartan plans as a good permanent solution. Alaska Insurance Division Director Lori Wing-Heier expects only about 500 Alaskans will buy short-term plans under the new rule. 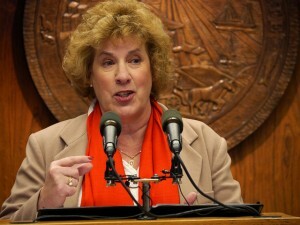 She does not think the extension will really undermine the state’s individual market. Most Alaskans have insurance sponsored by their employers or the government. Only about 18,000 Alaskans buy their own plans on the individual market. Wing-Heier says 90 percent of them get a subsidy. Switching to a short-term plan with skimpier coverage isn’t going to be that attractive to them, Wing-Heier says, because they would have to give up their subsidy and pay full price. “We think that for people that just have not bought anything because they were not eligible for a subsidy and consequently they’re bare, those will be the people that look at these short-term plans,” she said. The Senate’s vote keeping the three-year limit for short-term plans fell along party lines, with the exception of Collins who voted with the Democrats.